We have an award-winning team at our law firm that obtains significant awards on behalf of our clients. For example, in a case in which a school employee had a fence fall on them, casuing a pelvic fracture, we obtained a $500,000 settlement for the client. When a construction worker suffered partial amputation we obtained a $485,000 settlement for the client. Collectively, we have represented thousands of people in matters such as these, which range from the seemingly simple to the highly complex. As a result of our accomplishments, our attorneys hold honors that include being selected for inclusion in New York Super Lawyers; being listed in The National Trial Lawyers: Top 40 under 40; and holding an Avvo "Superb" rating. Most importantly, we put people on a path to recovery in a way that is respectful of their time and resources. Our law firm makes every accommodation possible. For example, our attorneys meet with clients at their home or in the hospital. We have the ability to negotiate fair settlements or pursue litigation in order to secure compensation for our clients. 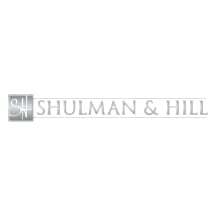 Shulman & Hill offers free initial consultations.